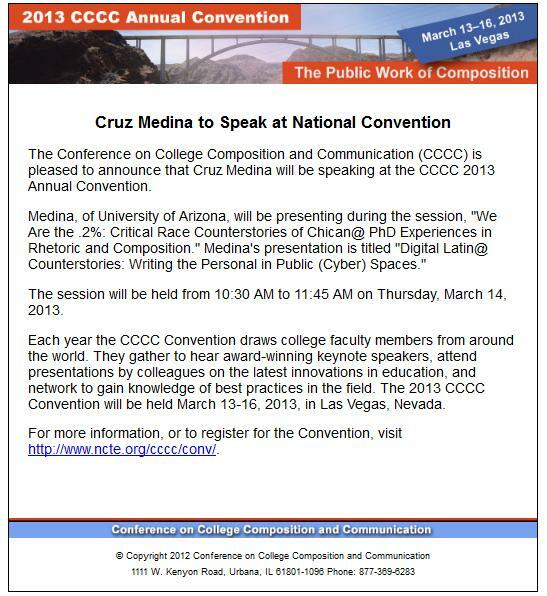 The Rhetoric Society of America (RSA) at the University of Texas, El Paso had their Spring Symposium this past Friday, and I was extremely honored to have been invited to be the keynote speaker. 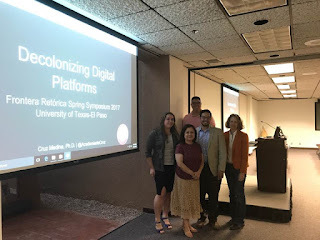 Below are some great photos with the UTEP faculty, my talk, the campus, and a short Storify of tweets and links about the event. 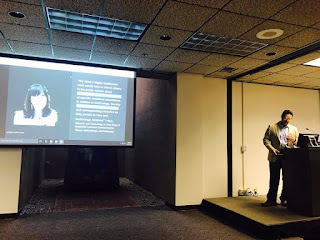 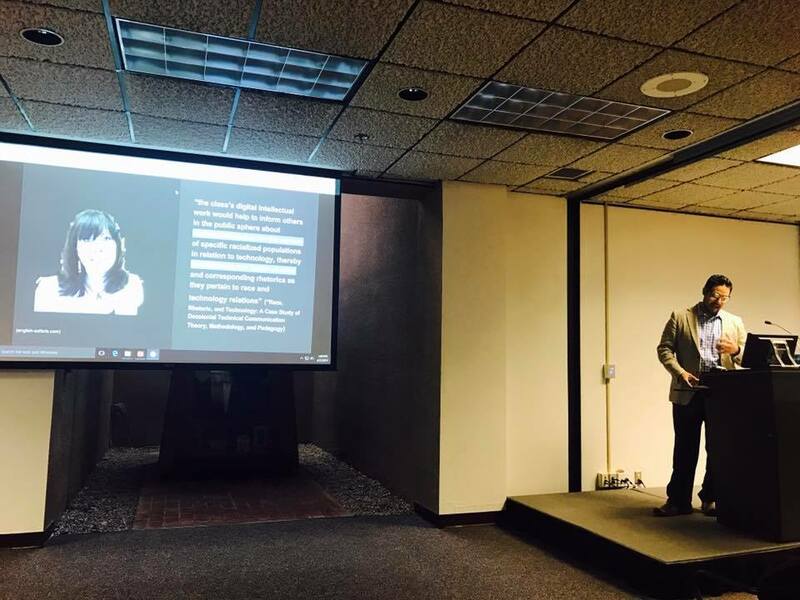 UTEP RWS professor Laura Gonzales took this great picture from my talk where I was citing Angela Haas' work on decolonialism (and where I also borrowed a slide design from Danielle DeVoss). 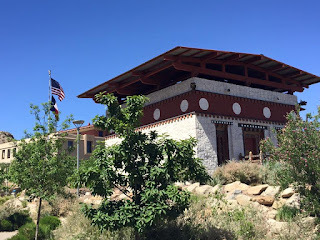 It was my first time on the UTEP campus where I learned about the Bhutanese influence on the architecture and exchange of students and cultural artifacts. 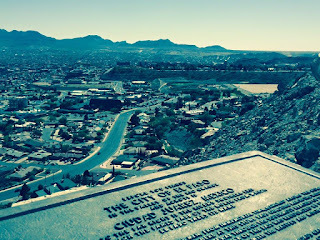 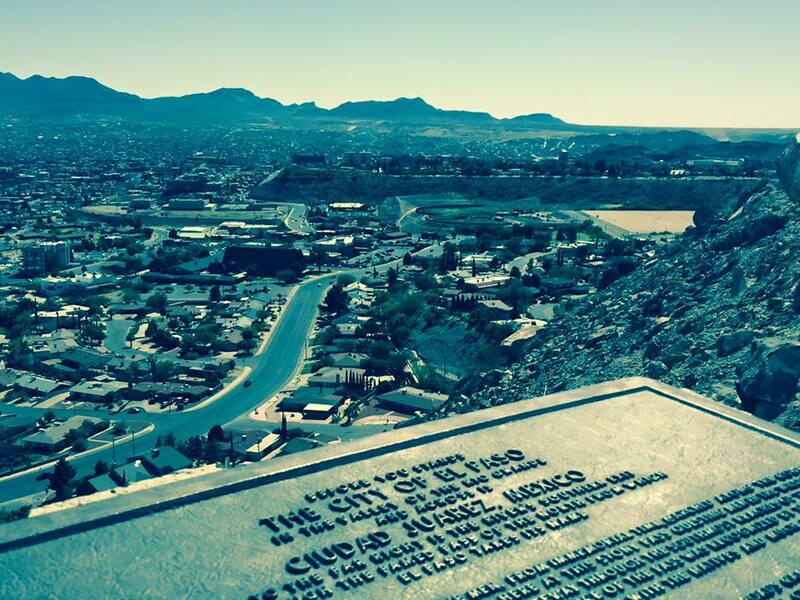 Lucia Dura gave me a tour of El Paso that included an overlook of the school and Ciudad Juarez.